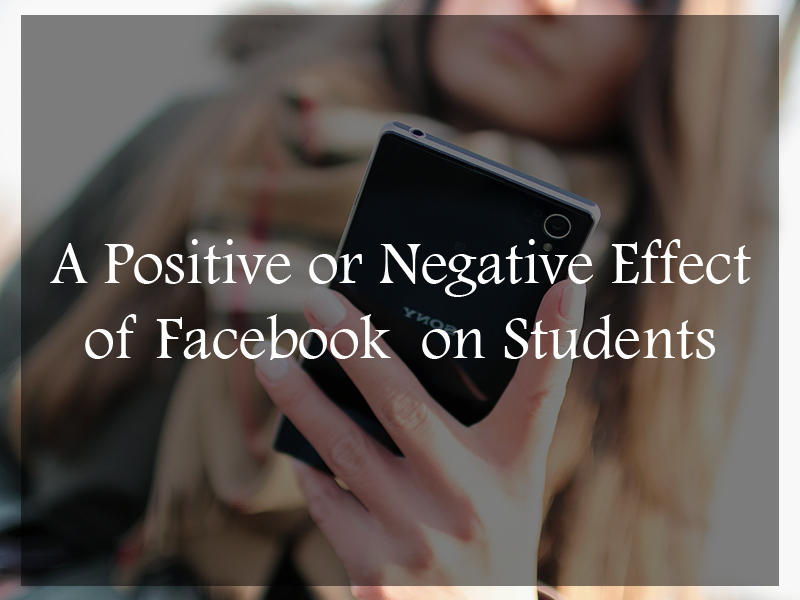 Are there more positive or negative effects that Facebook has on students? This is the burning issue nowadays and many people, especially parents, wish there was a clear answer to it. Recently, one of the online databases that provide information to students concerning the current and future educational opportunities in the USA has conducted some research and gathered data on the use of social media by students. The results were mixed, and thus no clarity regarding whether social media are more positive or negative was not derived, which indicates that the debates regarding this topic still persist. 20% of college students did not deny the fact that they were too much connected to using Facebook. Many of these results are evident: if a student is constantly checking on the news feed to see who of his/ her friends has changed statuses or shared something, he/ she will be surely distracted from studying and will be more prone to fail a test or exam. Such a distracting effect of Facebook is definitely a negative impact of social media. However, it’s not only social media that can bring such negative impacts on the studying process. Some students may be distracted the same way by eating snacks or being distracted by some TV programs, etc. On the other hand, though, if a student uses Facebook to get access to some discussion posts on a particular subject or to get access to an academic group created by the college professor, then here we can definitely say about the positive impact of social media. In this case, a student uses social media to develop his/ her academic interests. Thus, another aim of social media platforms is to share and exchange knowledge between professors and students, post interesting articles and encourage students to discuss them, etc. Moreover, social media, particularly Facebook, is used for posting advertisement for different interesting events. An obvious benefit seen from the statistics presented before is the ability of Facebook to make students feel socially connected, thus making them feel the sense of community they belong to. Thus, they can boost their self-esteem and overcome any obstacles in communication if they had any. All things considered, people should be aware both of positive and negative effects of social media. With all the pros, such as constant access to communication, the feeling of belonging to a specific community, and the opportunity to exchange information, social media have many cons. Among the disadvantages of social media are cyber bullying and online harassment among others.